The countdown for the 28th edition of the Monaco Yacht show has started. The occasion to discover the fascinating superyacht world in the iconic Port Hercules of the Principality of Monaco. All yachting industry attends the Show to celebrate the quintessence of the superyacht lifestyle: 120 extraordinary one-off superyachts are on display, of which 40 new launches are unveiled in a worldwide debut. 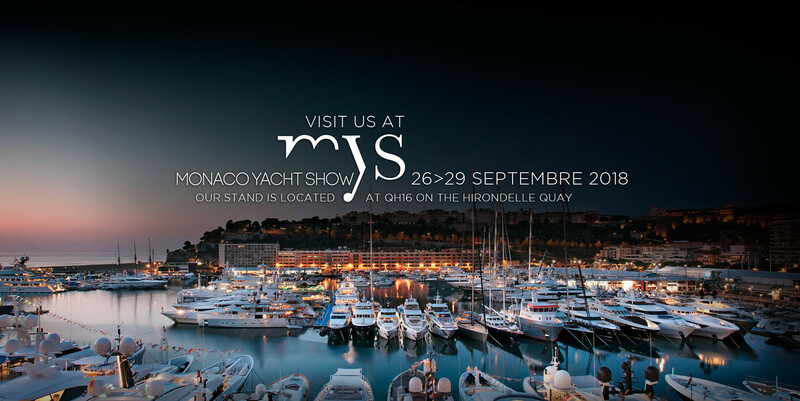 Come and visit our stand Quai de l’Hirondelle QH-16.